Lay out everything that has been shipped to you on a clean, sterile, flat and non-slippery surface. For your first shot, you should have a vial of medication, a vial of bacteriostatic water, a needle, a syringe, alcohol pads, a cotton ball or gauze pad, a bandage and a sharps container. Check the medication and the water vials carefully. You are looking to make sure that they have not been tampered with or opened. Next, you will check the solutions. Make sure that they are 100 percent clear without any particles in them. If you notice anything that does not look right about your medication, do not use it. Call your clinical advisor immediately and get new medication. The problem with using an unknown source for your hormone replacement therapy (HRT) needs is that you will not know exactly what you are receiving when your medications and supplies are shipped to you. In addition, you will most likely not receive the customer service that you might want and need. This means that you can get fake, inauthentic or tainted medication which can lead to severe problems if used. You will not have any recourse to get your money back or in some cases to file a complaint if your clinic is not there when you go back to find them. Many companies are not obeying the law as far as testing their clients for a GH deficiency before selling them their medications. They are not diagnosing correctly or at all. They do not even have licensed doctors prescribing and proving medical supervision. This is not the way how to use Tev-Tropin and is never recommended. 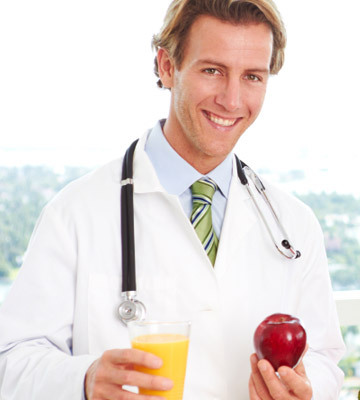 A first free consultation via phone with a clinical advisor should be conducted by any reputable clinic. This is where prospective patients can ask questions about HRT, about Tev-Tropin uses and advisors will ask questions of clients as well. Both parties will be interviewing each other and hopefully a nice rapport will be established during this phone call. Mandated blood testing and a physical exam should take place. This is done to make sure that the patient has a growth hormone deficiency in order to get a prescription for medication. Additionally, a physical exam will take place to make sure that the patient is in otherwise healthy enough condition for HRT. A medical history will be filled out online. Licensed doctors must do the diagnosing, prescribing and medically supervising your HRT treatment. Never use a clinic that does not offer these three important elements. There are other necessary things that a clinic must provide as well. These include 100 percent pure medications, clinical advisors that are available during all normal business hours for assistance, advisors that teach how to use Tev-Tropin (preparing and administering the medications), advisors that make that first appointment for blood work and a physical exam with a clinic in the patient’s home city and more. Always follow your Tev-Tropin prescription exactly as written and your treatment plan as well. A patient should never deviate from these two things unless they do it under a doctor’s recommendation. Greenberg Health physicians spend a lot of time analyzing blood work and medical information in order to create the perfect plan for each patient. This is done in an effort to help the patient get the best, safest and quickest results possible. Remove the cap from the top of the vial of bacteriostatic water. You can do this by pushing the edge of the cap up. Leaving the rubber stopper in place. Do the same thing for the vial of Tev-Tropin. Open an alcohol pad and wipe the rubber stopper on the vial of bacteriostatic water from one end to the other. Throw away the pad after using. Open another alcohol pad and do the same thing for the vial of Tev-Tropin. Remove the needle from the wrapping. Open the syringe as well from the wrapping. Twist the needle onto the syringe and carefully remove the cap. Do not throw it away. Hold the syringe with one hand and with the other hand, pull back the plunger until the same amount of air as you need in medication is drawn up into the syringe. Push the needle into the bacteriostatic water vial through the rubber stopper and push on the plunger until the air goes the vial. Turn the vial upside down and then pull back on the plunger to draw up all of the water. Pull the needle out. Now the needle will go into the vial containing the Tev-Tropin, white powder medication. Tilt the vial to a 45 degree angle and push the water into the vial so that it runs down the side gently. You never want to push the water directly into the powder. When all the water is inside of the vial, remove the needle, re-cap it and throw it away in a sharps container. You will use another needle for injecting the mixed solution into your body. You can unwrap the second needle and twist it onto the syringe. Keep it capped until you are ready to use it. In the meantime, roll the vial between your fingers gently to mix the powder and the water. Under no circumstances should the vial be shaken. This will render the solution unusable. Roll the vial gently between your fingers until the liquid is completely clear. Never use it if it looks murky or cloudy. Once the solution is clear and completely diluted, you are ready to inject the medication subcutaneously (just under the skin) in the body. Again, always follow your Tev-Tropin prescription exactly as written and your treatment plan as well. Never deviate from these two things unless you do it under a doctor’s recommendation. The advisors at Greenberg Health can help you to mix your solution and to self inject the medication into your body in an effort to help you to get the best, safest and quickest results possible. Thoroughly wash your hands with warm water and soap. Pick a spot on your body for your injection. Usually, this will be on the belly area within an inch or two from the belly button. You will never use the same area twice; however. You do not want to traumatize the area by reusing it twice in a row, so alternate places for each injection. Open an alcohol pad and clean the area to be used as your injection site. You will rub the pad in a circular motion from the center of the spot outwards. This will help to move any bacteria away from the place where you will use the needle. Take the needle and put it into the rubber top on the vial of reconstituted solution. Pull back the plunger until the exact dosage of medication is in the syringe. This is an important step because you want to make sure to be very accurate. The doctor has chosen your dosage for a reason; it is best for giving you the results that you will want and to avoid negative side effects. Do not pull more solution or less solution into the syringe than what is prescribed for you. Using the exact dosage is vital. Grab the area of skin you plan to inject the needle in with your fingers and pinch the area. With the other hand, hold the needle as if you were holding a pencil. You will put the needle to your skin at a 45 degree to a 90 degree angle and push it in gently and slowly. Some people prefer to push it in quickly. This is up to each individual patient. Pull back on the plunger a little bit to make sure that no blood goes into the syringe. If you do find blood in the syringe, you will have to pull out the needle and start again with a new needle and syringe. If not, you will be able to go to step 9. Slowly push the plunger on the syringe injecting all of the solution into your body. Make sure that the syringe is completely empty before pulling it out. As soon as you pull out the syringe, you will apply pressure to the area with a cotton ball or with a gauze pad and then quickly cover it with a bandage. You are finished. Throw away the needle in the sharps container. You can continue on with your day as usual. You have just learned how to use Tev-Tropin injections and we hope that you find it to be a simple process. We like to be as detailed as possible in teaching our patients how to use Tev-Tropin injections. We also offer online videos on how to self administer our medications. In addition, our advisors are available via phone for assistance when clients need them.